HOLDREGE, NE; November 26, 2018 – Ron Sedlacek and Jamie Karl from the Nebraska State Chamber of Commerce are on slate for the South Platte United Chambers of Commerce luncheon meeting December 11 in Holdrege. The two speakers will review the past year and give a preview the 2019 Nebraska Legislative Session. Sedlacek is the State Chamber’s Vice President – General Council and Karl is the Vice President – Public Affairs and Policy. Current, newly elected, and former Nebraska senators have been invited to participate by talking about how the legislative body works and what each senator’s goals are for the future Legislative Session. The public is encouraged to attend. In addition to the legislative review, topics during the meeting include Rural Issues, Priority Bills, and Advocating. Time is also set aside for the audience to give feedback to the senators about local issues. Attendance to the meeting is free. Lunch will be available at 11:30 AM at a cost of $15 and requires reservations which can be made at info@spuccne.com or 308-991-8657. South Platte United Chambers of Commerce is committed to furthering the economic and social welfare of the State of Nebraska with focus on the South Platte region. Its initiatives are in Tourism, Community Development, and Legislative Issues. 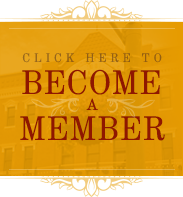 For membership information, go to www.spuccne.com. Attendance is free; lunch is available for $15.